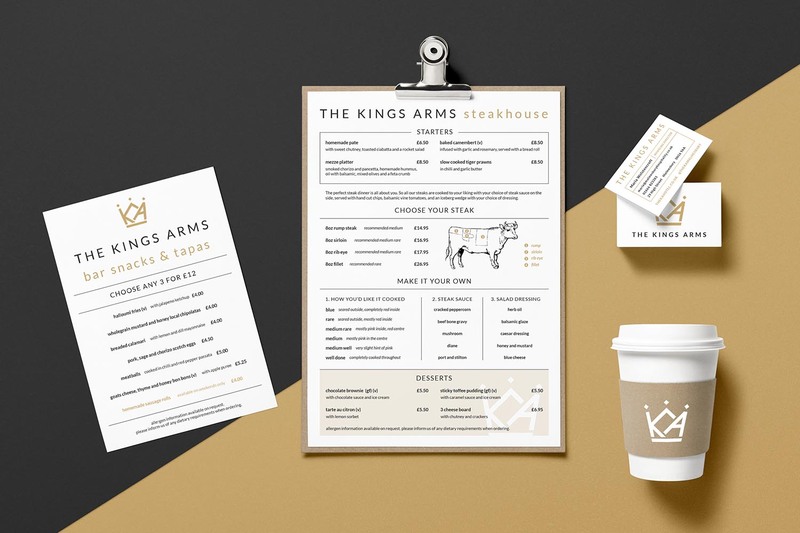 Rebranding and updating the print and online presence of The Kings Arms in Malmesbury, a historic coaching inn that has recently set about refurbishing and renovating all aspects of the business. They needed a branding overhaul that would show the new direction for their hotel, restaurant and bar. Copyright © Lunalight Limited 2019. All rights reserved.